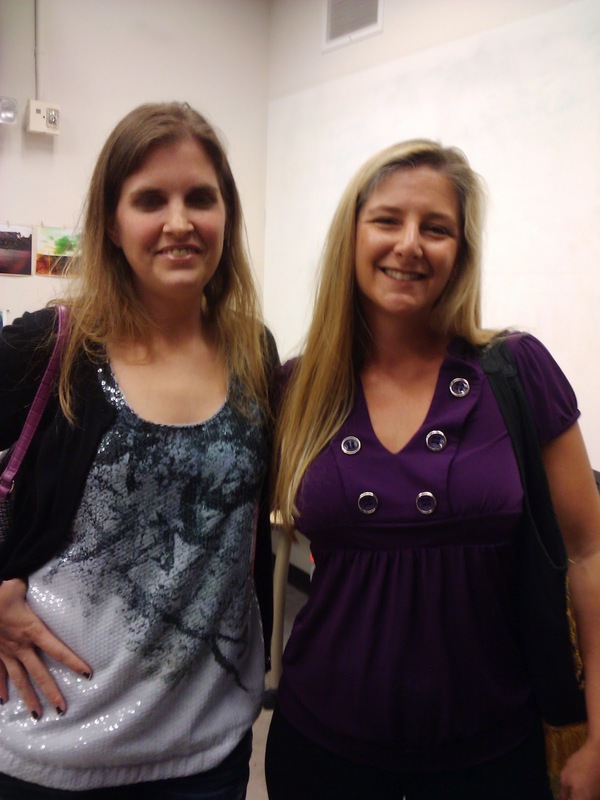 Last Friday night, I attended the first Orlando Literati event located at downtown Orlando. The venue was at Urban ReThink surrounded by great restaurants and within walking distance to Lake Eola. Sarah Fisk from YA Rebels organized the event and did a great job at gathering together nearly 100 writers from the area! 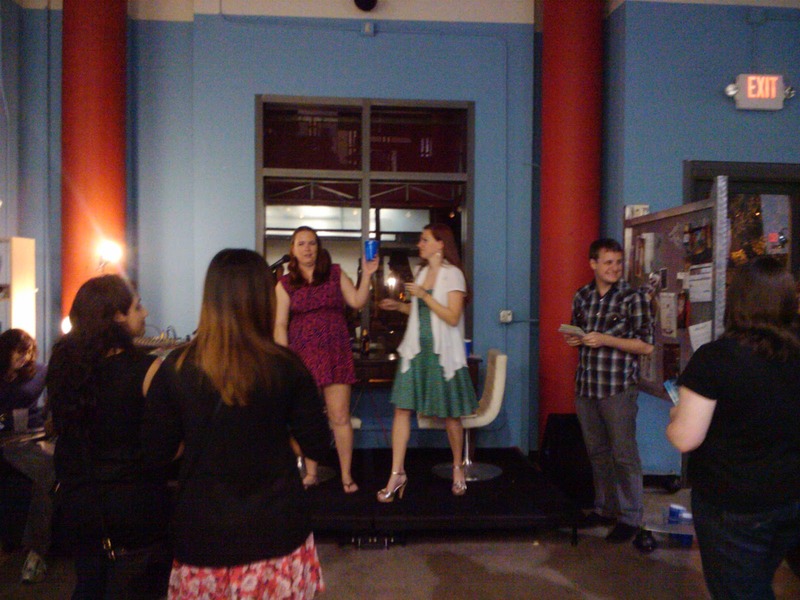 They had raffle prizes offered, and even though I didn’t win anything, Larissa Hardesty won the 25 page critique from agent Lucienne Diver from the Knight Agency! 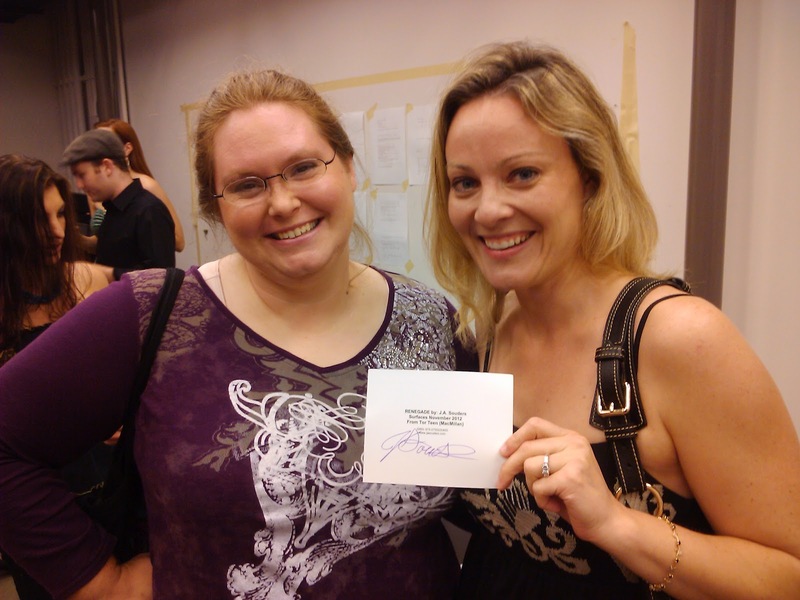 Jessica Souders brought postcards and business card swag for the SWAG table and guess who was the lucky person to get Jessica’s first autograph EVER? Um, yeah, that would be ME. !!!!!! We are all looking forward to more great events like this one. I have a feeling that there will also be some group writers events such as signings and readings at the Urban ReThink in the future. What a great event. These pics make me wish I had been there. I love writers’ events, and this one looks like a goodie.